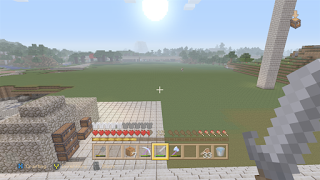 Hello and welcome to Episode 13 of my Xbox Minecraft survival world. You can click here to catch up with what happened in Episode 12. Today we begin in "Egypt" where my great pyramid build continues. If you look to the left of the pyramid you can see a big section that I've been clearing out for two reasons. First I'm eventually going to flatten the land on all sides of the pyramid. 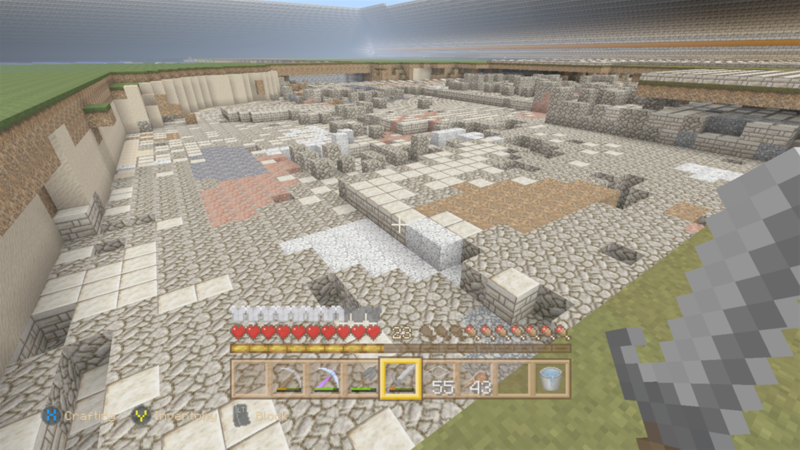 And my second reason is because I need a lot more sand and sandstone. As of right now, work has ground to a halt because I don't have the supplies. But never fear because I have some help. Work on the pyramid wouldn't be complete without another terrorist attack by the Creepers. I usually don't wear armor, or at least good armor, but It does come in handy for when Creepers attack before I can kill them or get away. I've also begun carrying a bow and arrows so I can kill them before they get too close. I'm not happy giving up two of my inventory spots but you have to do what's necessary. 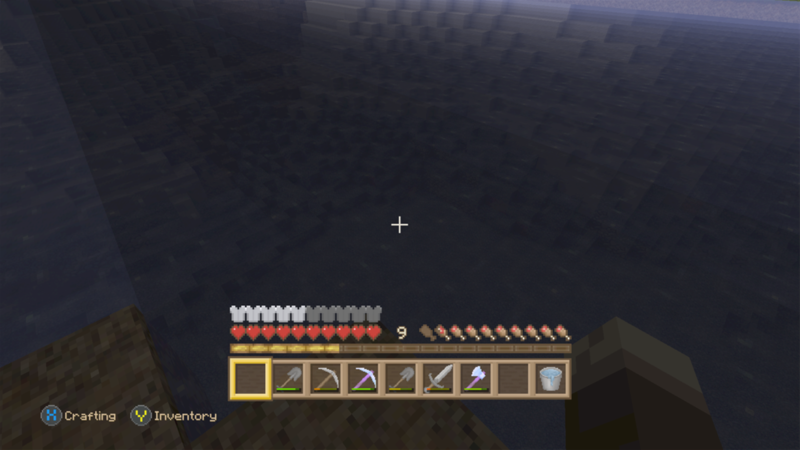 I'm now using enchanted iron and diamond armor and it's working pretty good. I really like that one of the enchantments allows me to stay under water much longer than I could before. In this picture, you can see what is under my pyramid and why I'm putting three layers down because if you're killed and all your stuff goes to the bottom it's a huge pain to retrieve. Work also continues on leveling the pyramid floor which is also hampered by a lack of material. Except for two spots I have the whole floor was done which is good. The two spots that are still opened have some materials I desperately need so they will stay open until I can empty everything I need out of it. 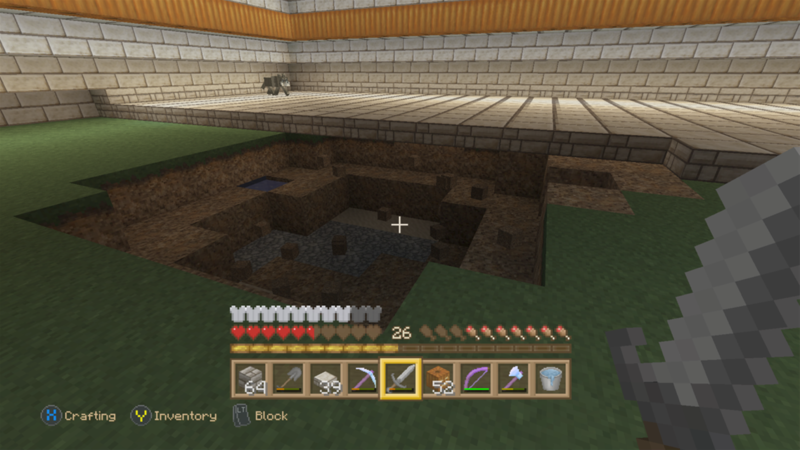 Since I need dirt I've continued to level the land between the pyramid and my railway. This is where I was almost killed by that lava pool that was very close to the surface. I've been using the lava for fuel for my furnaces just like I do in my mail base. As you can see I'm getting there. This build is just a massive undertaking. 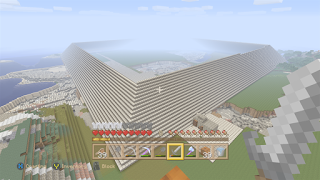 I realize that building a pyramid itself isn't a challenging build like some of the really cool things others have built. What makes my build tough is that it's done in survival and on hard difficulty and because of that I need to gather enough materials. Also, I'm doing this build on my own and with having a regular life there isn't as much time to build as I'd like. One last thing, the other day my daughter who is 10 asked if I wanted to play Minecraft with her. She loves Minecraft and use to play all the time but she's started watching people on YouTube playing like many kids do now. 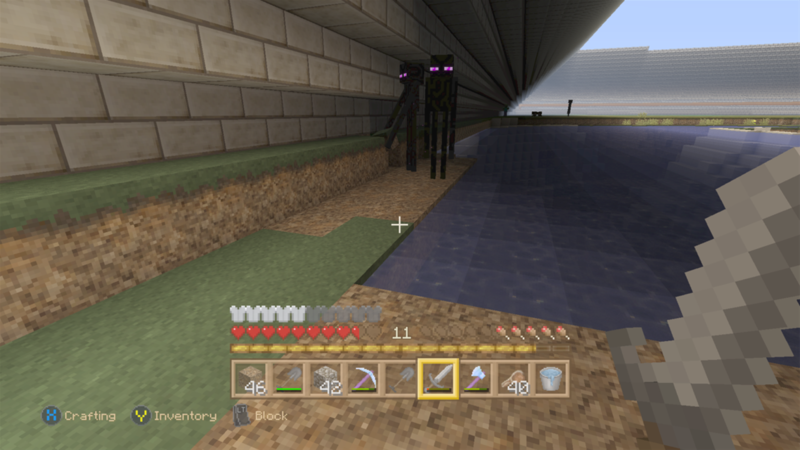 So when we load into Minecraft she turns to me and asks, "What should I do?" 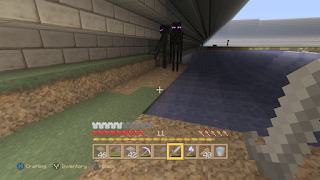 If I had Minecraft to play when I was her age and I was left on my own to play as much as I wanted I would have been found dead because I wouldn't stop playing even to eat. It's all these evil video games that the kids are playing today. Anyway, I'll see you next time.